Steve Liverett, 66, of Rogersville passed away Friday, February 8th, 2019 at his residence. 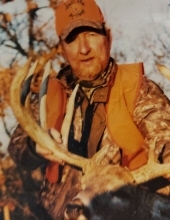 He was a member of Rogersville First Church of the Nazarene, a carpenter and enjoyed life in the outdoors. Visitation will be Monday, February 11th from 1-3 p.m. at Rogersville First Church of the Nazarene. Funeral service will follow with Tom Martin and Micah Sturm officiating. Burial will be in Butler Cemetery. Pallbearers will be Matt Davis, Chris Davis, Jimmy Bailes, Danny Putman, Ronnie Thigpen, Alvin Poss, James Putman and Brad Buchanan. Steve was preceded in death by his parents, Verdo & Eunice Liverett and brother, Danny Liverett. He is survived by his wife, Arlene Putman Liverett; children, Jamie (Hollie) Liverett and Paige (Heath) Johnston; grandchildren, Karlie, Aubrey, Ella, Kaleb and Owen; mother-in-law, Willie T. Putman and special friend, Jimmy Bailes. Visit rogersvillefh.com to share memories to the Liverett family. To plant a tree in memory of Steve D. Liverett, please visit our Tribute Store. "Email Address" would like to share the life celebration of Steve D. Liverett. Click on the "link" to go to share a favorite memory or leave a condolence message for the family.